On Saturday, Pippa Middleton, younger sister to the Duchess of Cambridge, wed her new husband James Matthews in a lavish ceremony that reportedly went into the wee hours of Sunday morning. Less than 24 hours after their serene and flower-filled church nuptials and epic reception, the newlyweds were spotted at Los Angeles International Airport while traveling from Britain to the Pacific Islands where they will reportedly be spending their honeymoon. 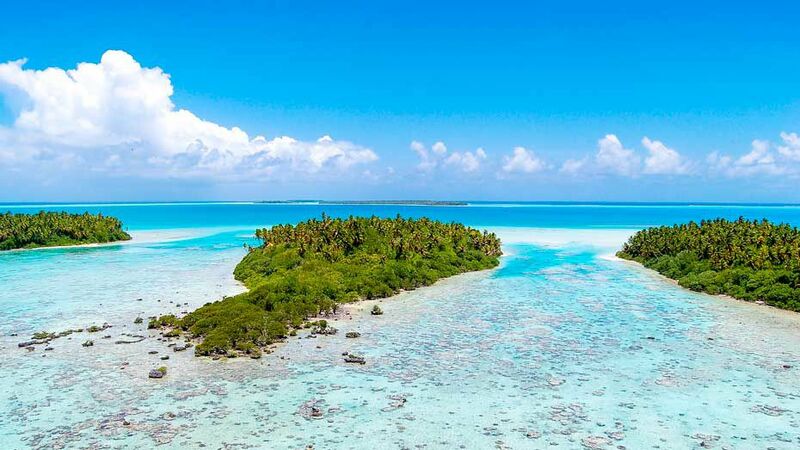 According to sources who spoke to The Sun, Middleton and Matthews will spend their first days as husband and wife on the Pacific island of Tetiaroa, an island once owned by Marlon Brando and now lovingly carrying his name. The island, known as The Brando, contains 35 thatched villas that each have their own outdoor bath, an infinity pool, and a rocking chair for two. The island is also eco-friendly with seawater air-conditioning, solar electricity, and generators running on coconut oil, the Daily Mail reported. Moreover, the island also offers the two-Michelin-star restaurant Le Grand Véfour (including room service). It’s no wonder celebrities, royalty, and even the Obamas love the well-appointed island accommodations. And, to make us all a bit more jealous, this luxurious island vacation is just the first stop on their honeymoon journey. According to The Sun, following their romantic week on the island, the pair will head back to the U.K. for a stay in the Scottish Highlands in an area owned by Matthews’ family.